Coloring apps are very popular on mobile right now, be it for the iOS or Android, and one of the most downloaded is Pixel Art by EasyBrain. There are a lot of these coloring apps true, but Pixel Art by Easybrain manages to set itself apart from the rest by adding some unique features that make the coloring experience more exciting. The basic setup is not that different from other coloring apps. When you launch the app, you get to choose from several images that you can color. There are numbers in various sections of the image, and you have to fill up each section with a similarly numbered color. It is easier than it sounds. The color palette has the colors numbered, and you simply tap a color, say green, and color the image section with the same number. Even if you have never done this before process could not be any easier. If you cannot see the number on the boxes, use your fingers to zoom in an image. Tapping and holding brings up a magnifying glass to help you see better. There are several coloring tools you can use, including the magic wand to color adjacent pixels regardless of numbers. If you cannot see the magic wand, swipe the palette. Once you are done, tap the share button to showcase your work to friends on social networks. 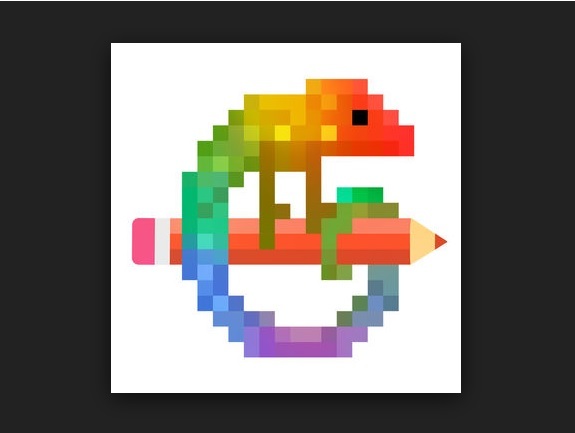 Pixel Art is a simple app that does what it sets out to do, help you relax.